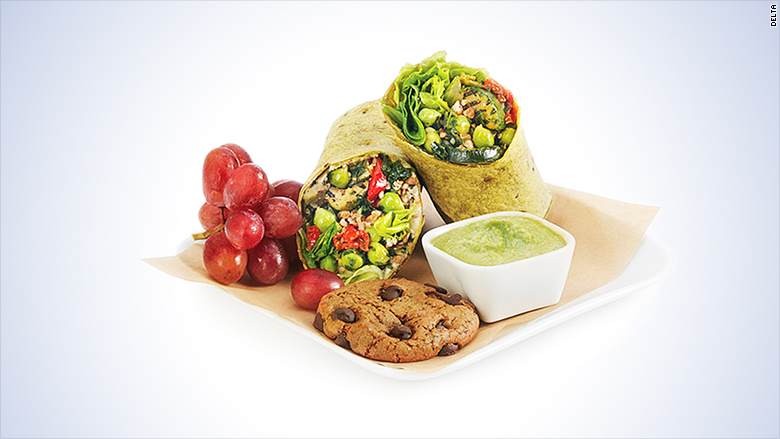 In-flight meals are back on Delta. The airline will soon start offering free meals to passengers in the main cabin on some of its cross-country flights. The in-flight meals will start on March 1 on flights between New York City's JFK airport and Los Angeles and San Francisco. The perk will expand on April 24 to other coast-to-coast flights, including Boston to San Francisco and Los Angeles, Washington, D.C.'s, Reagan National Airport to Los Angeles, and from Seattle to Orlando and Raleigh-Durham, North Carolina. In total, Delta (DAL) is offering meals in 12 markets. Delta claims to be the only U.S. carrier to offer free meals on some transcontinental flights. The meals vary depending on flight times, and passengers will be able to choose from different offerings. For instance, morning fliers can choose from a breakfast sandwich, a breakfast medley or a fruit and cheese plate. Passengers flying during the day will be offered a mesquite-smoked turkey combo, a Mediterranean whole grain veggie wrap or fruit and cheese plate. Delta fliers on some coast-to-coast flights will be offered free meals. 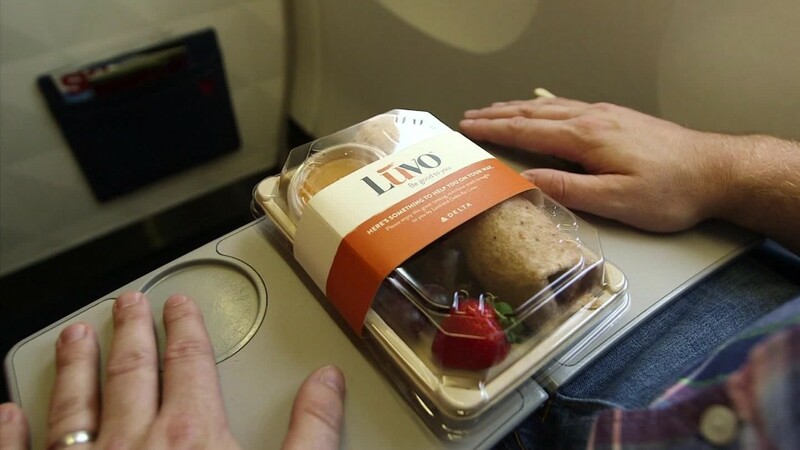 "We are all about making our Main Cabin experience the best it can be for our customers and offering free, high quality meals is a big part of that experience," said Allison Ausband, Delta's senior vice president of in-flight service in a press release on Thursday. The Atlanta-based airline tested meal offerings late last year on flights between JFK and Los Angeles and San Francisco airports. Fliers sitting in Delta Comfort+ get even more perks: a pre-arrival snack basket and complimentary alcoholic drinks. Airlines have been beefing up their inflight offerings to woo fliers. Low oil prices allowed airlines to expand their route offerings in the last few years, which has created more competition. Delta announced in June it would offer its in-flight entertainment for free, and American Airlines (AAL) made a similar move in August.